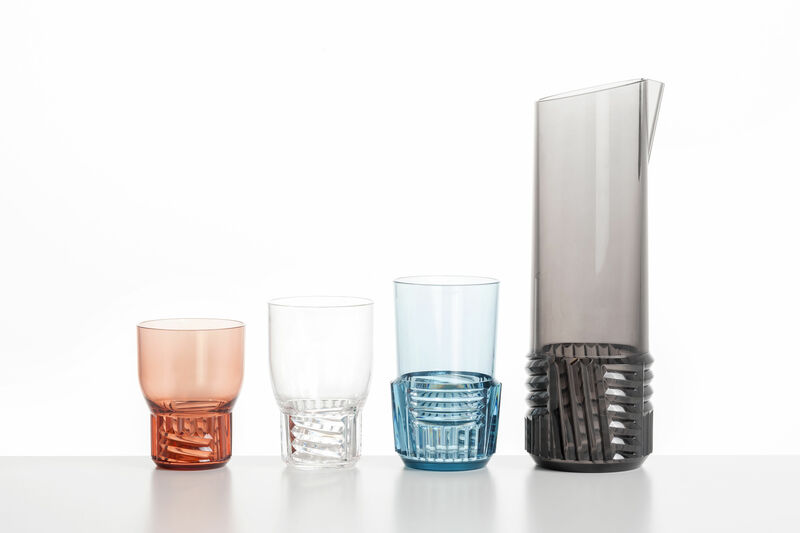 Following on from her hugely successful ‘Jellies Family’ table art collection, famous Spanish designer Patricia Urquiola puts the finishing touch to this universe with Trama: a collection of carafes and vintage-inspired coloured glasses. The pure, essential lines of this carafe contrast with the base which is adorned with raised motifs. 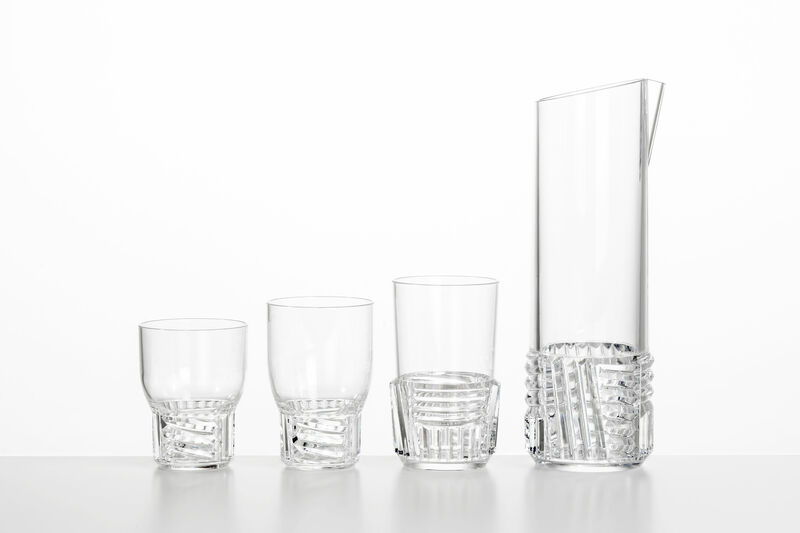 An interplay of irregular geometric shapes whose lines overlap for a pleasing graphic effect. Feminine art deco ornamentation brings an elegant, chic touch to this minimalist piece. 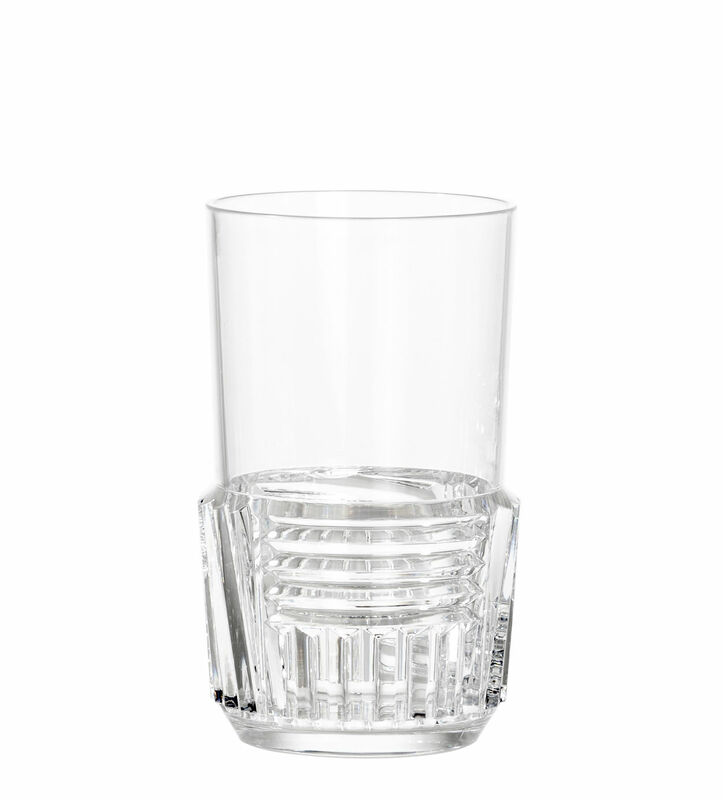 The Trama glass comes in 3 sizes.